Beard Balm – 2.3 oz. Coconut Oil*, Jojoba Oil*, Beeswax**, Kokum Butter**, Shea Butter*, & Vitamin E***. Essential Oils: Bay West Indies*, Cedarwood Atlas*, & Tea Tree*. NEW! Check out our Man Up Package, where we bundle together our strengthening and nourishing Beard Balm with our healing Aftershave Spray, at a lower price. 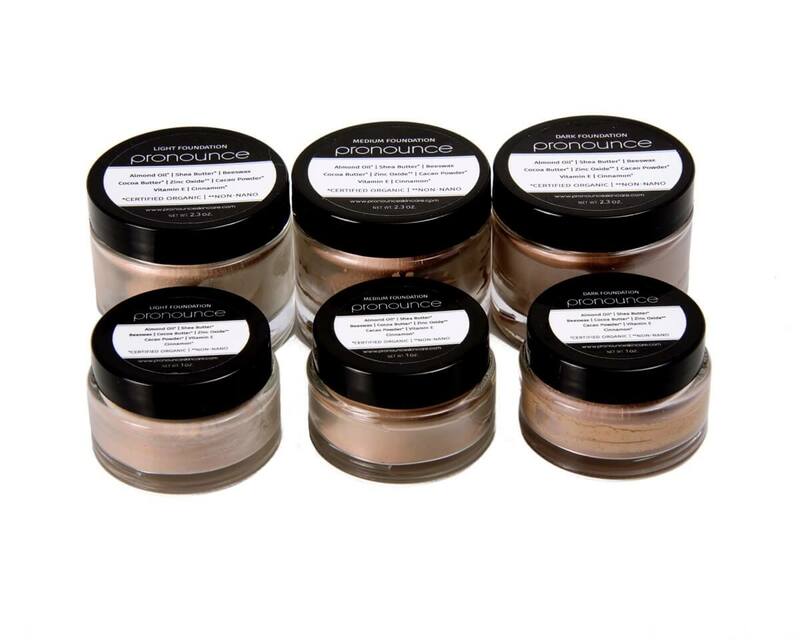 Go ahead…treat that manly face with our handcrafted organic goodies! 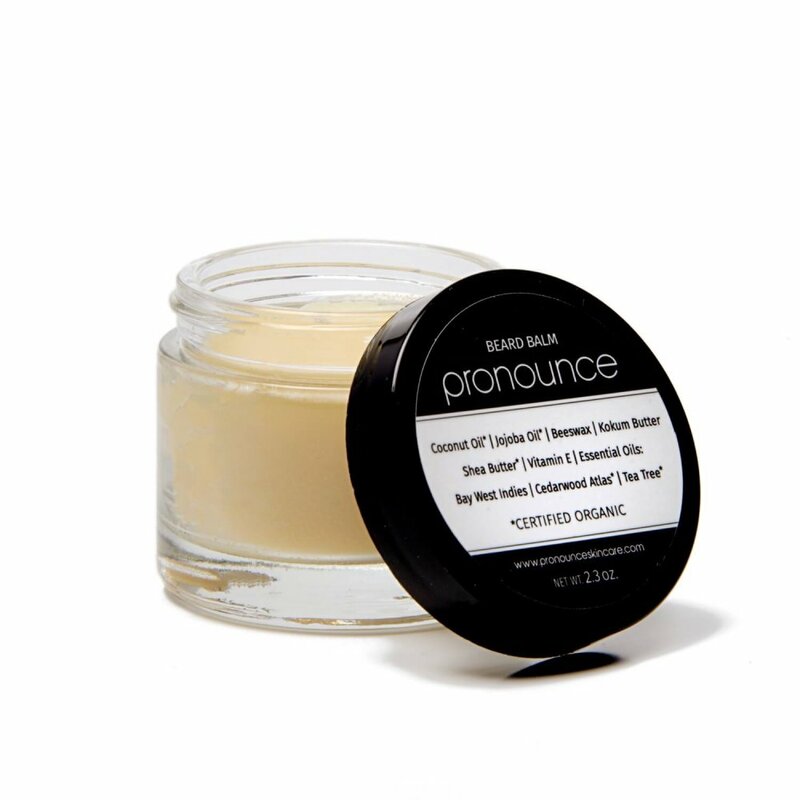 Whip those manly whiskers into shape with Pronounce Skincare’s moisturizing, nourishing, and hair taming Beard Balm! Unlike a beard oil that should be used sparingly due to the heavy amount of oils, Pronounce Beard Balm is a product you will want to use everyday. You’ll be amazed to see your beard health improve in a matter of days! Your hair will strengthen and you’ll be able to tame it right where you want it, without the application being too oily or thick. Kokum butter is very rich in essential fatty acids and non-comedogenic (meaning, it won’t clog your pores). 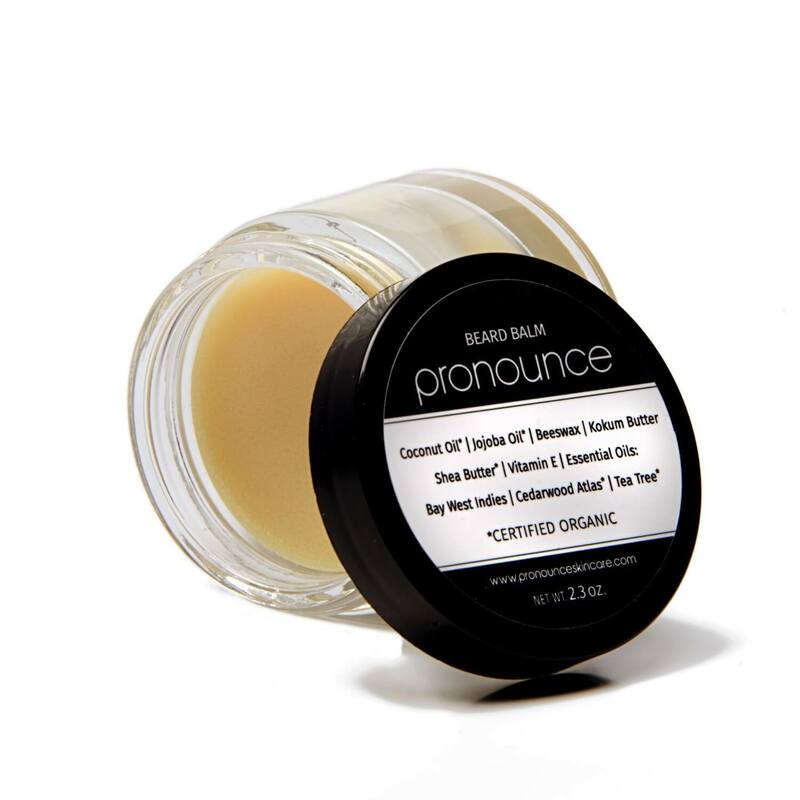 It’s a fantastic addition in Pronounce Beard Balm because also supports and truly enhances hair elasticity, which helps to ward off breakage in your facial beard. Truly ‘Mother Nature’s Conditioner’! Shea butter is a powerhouse with impressive emolliating (softening) qualities. This makes it an excellent choice for locking in moisture without leaving your facial hair greasy and heavy. 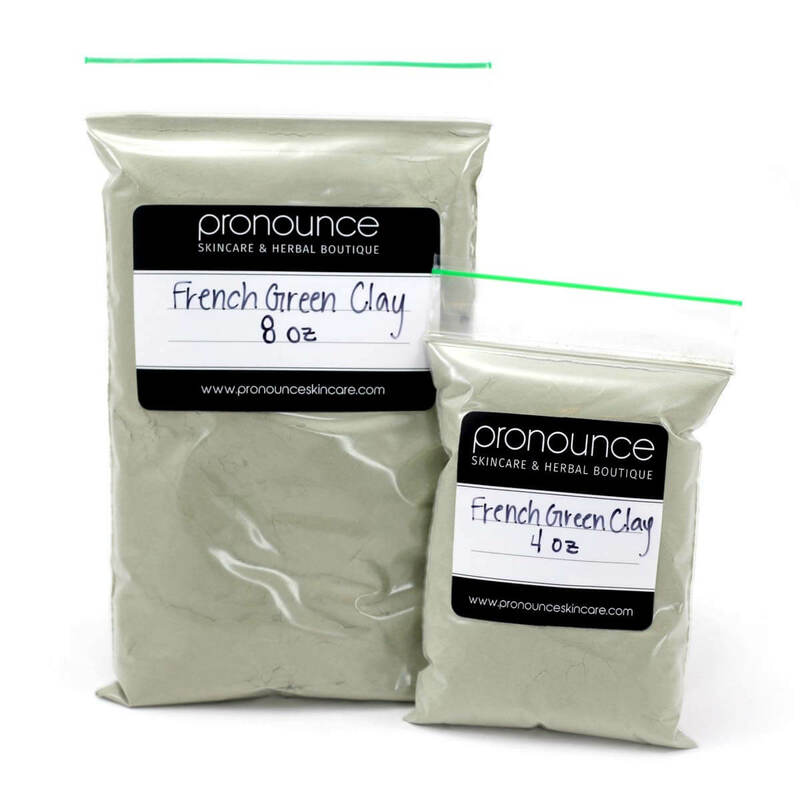 This has been a favorite for men’s facial products for centuries! The scent…intoxicating and familiar for a man’s face. 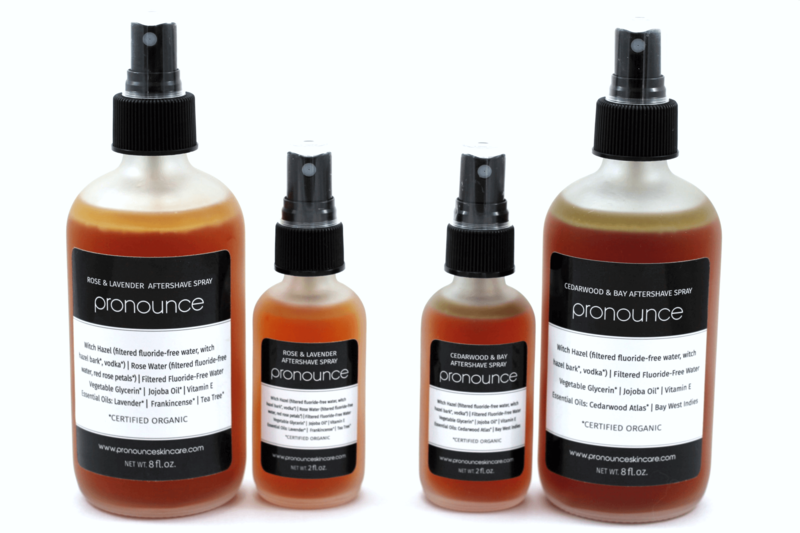 The results…treatment for hair loss, dandruff, and oily or flaky skin…giving your whiskers a healthy, vibrant shine. …did I mention the smell!?? Amazing. Great for acne, treats fungal infections, naturally relieves tension and stress, and (again!) the smell…amazing! Cedarwood essential oil has also been shown to stimulate hair follicles, increasing the handsomeness of your beard. Check out our Aftershave Spray, too, which you can now bundle with our Beard Balm in our Man Up Package (you save dough when you bundle)! This is my first Beard Balm (or oil), but I did lots of research prior to deciding on this product. It’s only been a couple of weeks now, but I still can give some general observations. I thought the Cedar scent was a bit strong at first and I am highly allergic to fragrance. but after it was absorbed into the skin / beard and I got acclimated to it then t’was not a problem [I never had the allergic reaction which swells my throat and makes it hard to breathe]. I was getting scabs on my chin and bearddruff on my shirt – both gone. My long (6 inch) senior citizen gray beard was brittle with lots of shedding – mostly gone. It looked like fluff, like spun fiberglass, but now it looks like a beard. What sold me? The DIY instructions and then the ‘link’ to the store solution. I do DIY, but I live off the beaten path as well and procuring all those ingredients would have been a challenge. The order took a while before it was filled, but I suspect it was made-to-order. The final word: Great product, Great value. I am so glad that you are loving your new Beard Balm so much. What a wonderful testimonial. Thank you for sharing your success and your tips for application! Oh, and let the beard dry before applying – Oil and water don’t mix.